Bike racing is a very silly endeavor. I say that mainly because the race is the stated goal of all the training and time spent focusing on riding, but really, it’s not about the racing. Races last a few hours and they are over. The rides, the core work, the bike maintenance, the specific diets, the late nights, early mornings, travel, and sacrifices, those take up the lion share of the time and effort; they also have the most impact and garner the greatest memories. I spend somewhere between 7 and 15 hours every week pedaling a bike, or: seeing the world, enjoying nature, being with friends, making new ones and pushing my limits. I gain so much from that time whether its alone, or with others, it nearly makes the racing irrelevant. Racing definitely motivates me to get out the door on the days when I don’t think I’m going to enjoy being on my bike. And as soon as I’m back on and rolling, I remember that it’s always good. So in that sense, racing is incredible. I’m also competitive though, which is another reason I race; having an outlet to blow off some of that competitive steam keeps it at bay in other areas of my life! Given that drive to compete, I always look for the way to have the maximum edge over my competitors. I train as much and as hard as life allows, so when I can find a few advantages in equipment to add to that training, I jump on it. 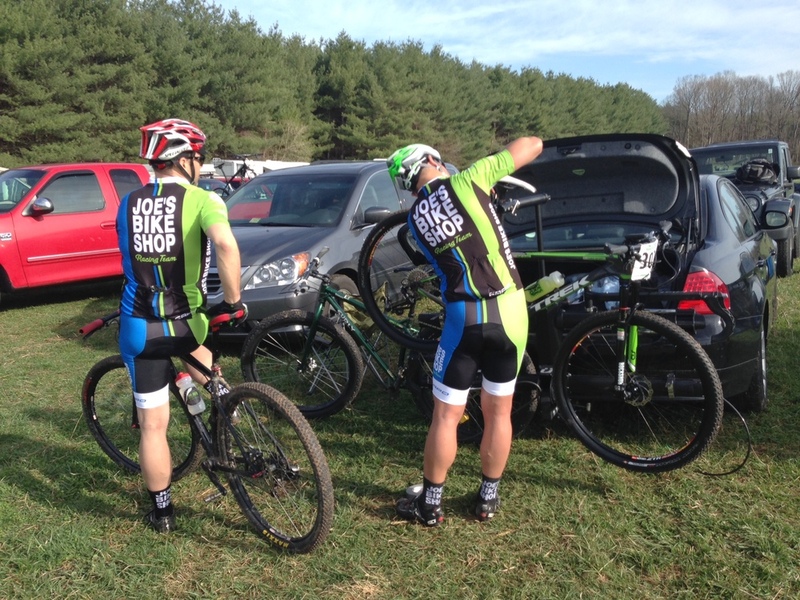 In 2015 I’ll be changing teams, and racing for Joe’s Bike Shop. They’re local to me and have supported me ever since I started racing bikes. I know everyone on the team and it is a true like a second family. We travel together, race together and train together. It was overdue and has become a great fit. I love the team and am excited to race with them in 2015! Back for 2015 are a few incredible sponsors. I am very excited to be racing on Infinit Nutrition. Actually, I’m relieved. When you’re racing a bike for 100 miles in the mountains, there isn’t anything quite like running out of engery. It is the most helpless feeling I’ve ever experienced. You’re miles from anything, and you just have nothing left. Infinit has kept me not only going, but going FAST in races for years. Not only is it great because you get calories in your precious water (not fumbling with wrappers and gels) but they customize it to have the amount and type of nutrition you need. Sodium, carbs, caffeine, those are just a few of the pieces you can tweak to help your body run at its best. Oh, and it’s really tasty, even when warm! Another relieving return for 2015 is ESI. You touch a bike in 3 places: pedals, saddle and your handlebar, and honestly your handlebar keeps you safe, so I call it the most important touch point! Racing hard for 4, 5, 6…9 hours is BRUTAL if you don’t have your hands comfortable. Imagine heading downhill at 35mph and you’re coming up on a hard turn. Your brakes only work if you squeeze them, but if your hands are cramped and tired from riding all day, you are in big trouble. That’s the beauty of ESI’s grips. The comfort they provide keeps you safe. Not just from all day wear and tear, but for actual grip! This year, the weather was gnarly. I rode in rain, mud, snow, sleet, sub-zero and 100+ temps! And of course, I never lost my grip, slipped off my bar, or even had to think about discomfort. ESI keeps you safer, which lets you ride faster. I wouldn’t use another grip, they’re simply the best. And lastly, SPY Optics has graciously come back for 2015. Given all that weather we’ve had, glasses have been even more important than usual. Ducking and dodging eye hazards while riding is part of mountain biking. You can survive without glasses, but you can’t go fast. But in rainy and humid weather, glasses fog. So what do you do? You wear SPY glasses. It’s very simple: SPY has developed unbelievable venting in their glasses that just works. My glasses have never once fogged while riding, not even in the pouring rain (unlike my experiences with competing glasses). If you can’t see where you are going, you shouldn’t be riding. When it’s snowing, sleeting, really bright, raining or super humid and conditions are impeding your vision, you shouldn’t be riding. Since one of those conditions is the summary of 95% of my rides, SPY is essentially keeping me on the bike, and keeping me safe, helping me go fast, all year long. They make glasses that don’t break (unlike their competitors), protect your eyes, and keep you moving. And for those reasons, I’m glad to be back with SPY! It is shaping up to be a phenomenal season. The winter was tough, but I still managed to train harder than ever to come into the spring ready to race. With lots of good memories already made, it’s time for some new ones and probably some new friends along the way! Here’s to more adventures in 2015!